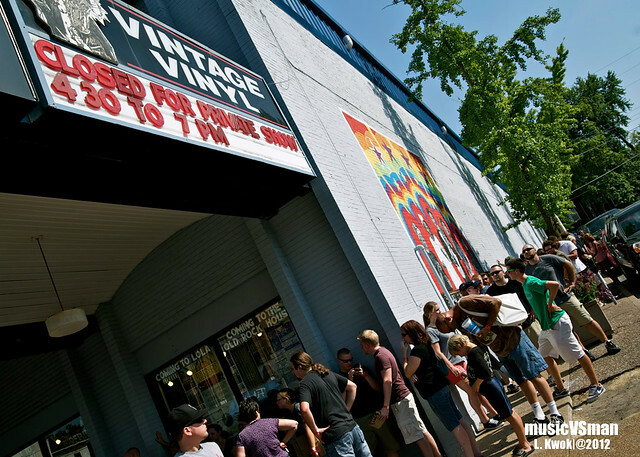 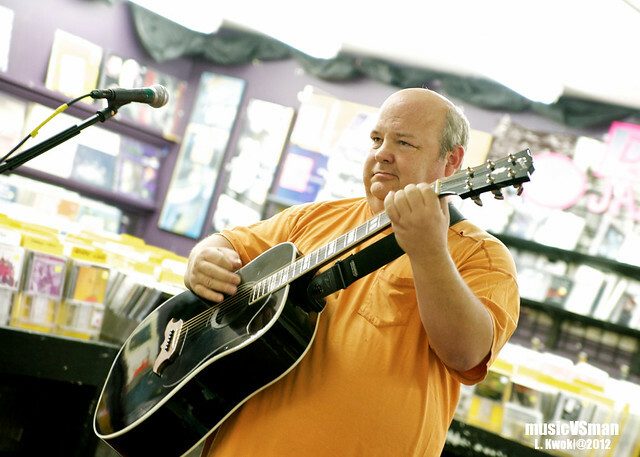 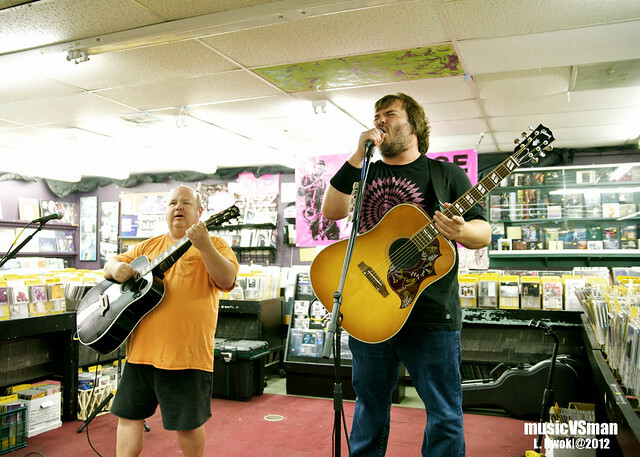 Kyle Gass and Jack Black joined a small crowd at Vintage Vinyl for certainly one of the coolest afternoons in quite a while. 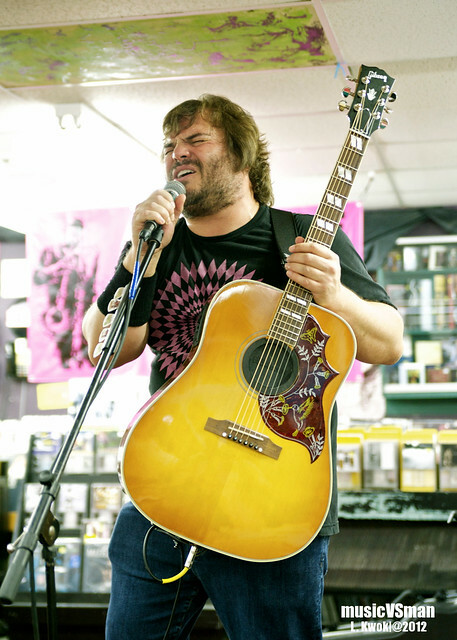 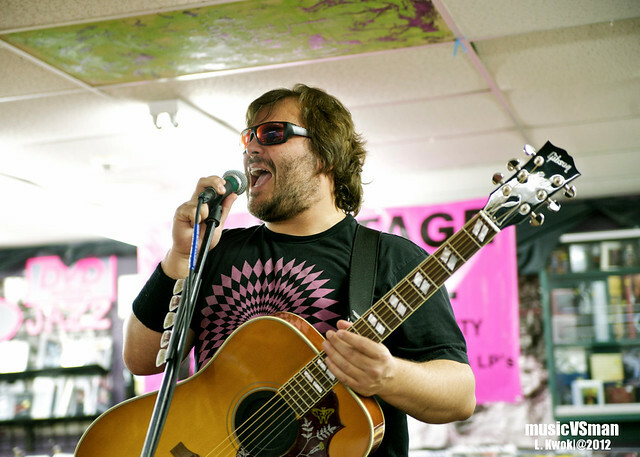 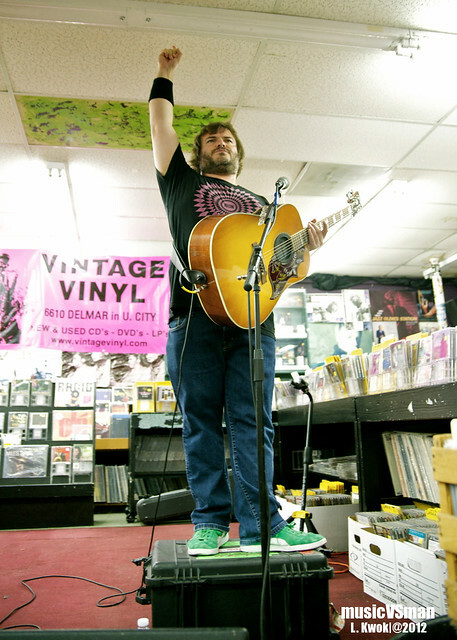 Hours before their sold-out show at The Pageant, Tenacious D dropped by the record store for a three-song set and some quality time with fans. 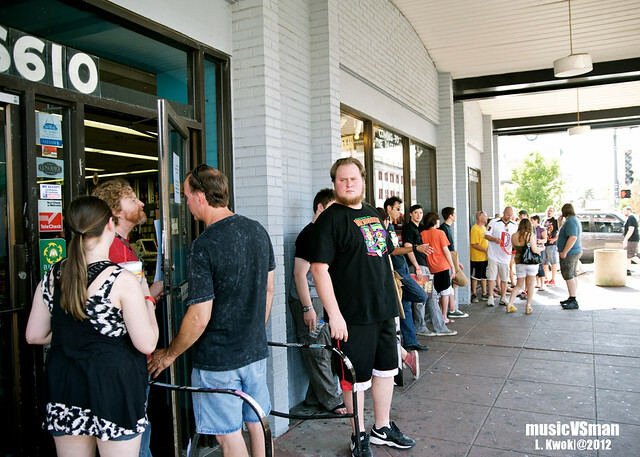 -The in-store started at 5PM and the few folks around me had waited outside in the heatwave since 1PM that afternoon. 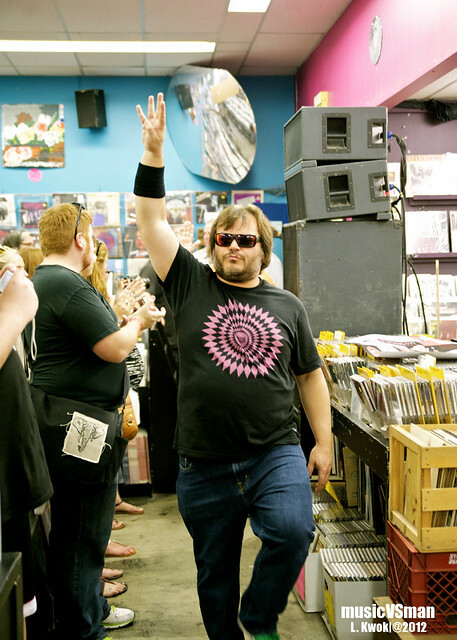 Dedication. 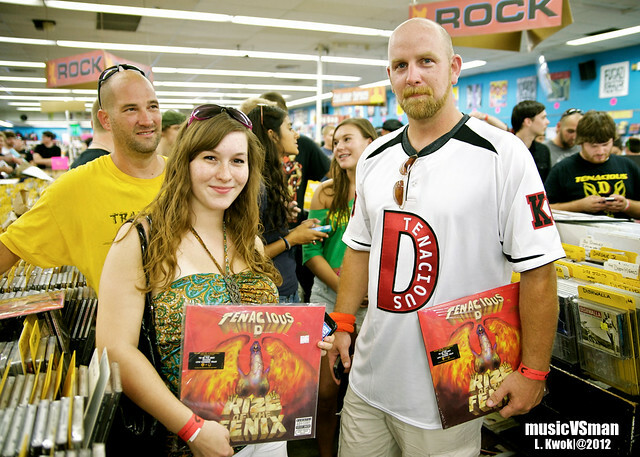 -Props to the lady next to me in line who got the pair to don Santa hats and take a photo with her for her upcoming Christmas card photo. 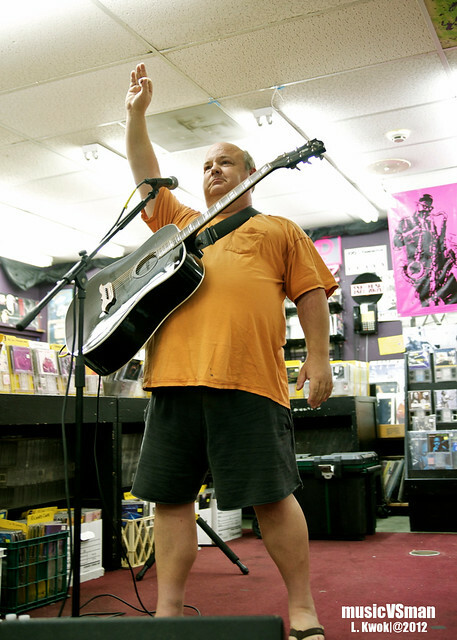 -Jason from Encor.es had the pleasure of shooting the evening show. 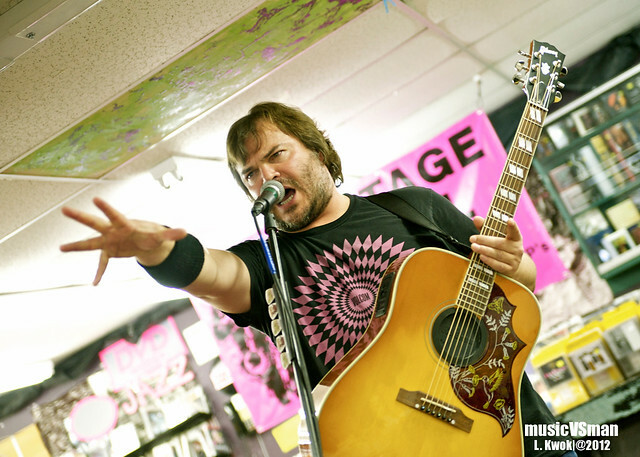 Hop over there if you want some more Tenacious D action. 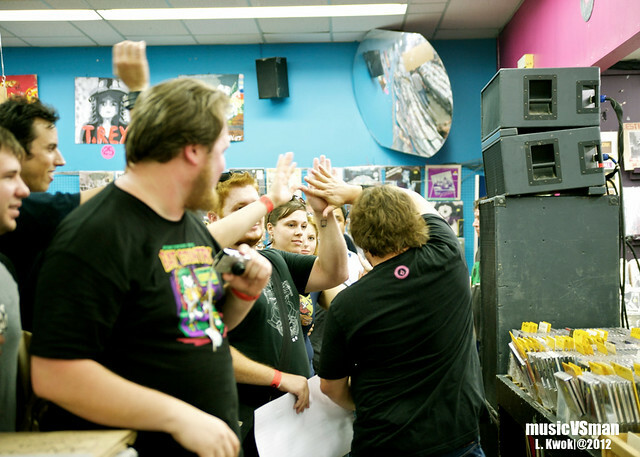 -Needless to say it was crazy hot in the store, but the always-so-helpful VV staff were even out on the floor trying to fan the crowd as they waited to meet Jack and Kyle.